These are the Skinner-centric stories. 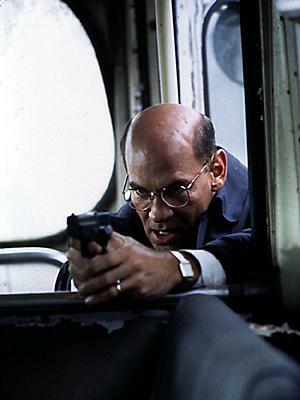 While most of them include Mulder and Scully in pivotal roles, these stories focus on Skinner. The Enchantress series and Things Remembered are the only stories that do not include Mulder and Scully. After refusing Mulder's resignation in One Breath, Skinner deals with the memories stirred up by talking about Vietnam. Assistant Director Skinner's journal that explores his thoughts on his interactions with the X-Files Department. Retrieval -- 81K -- NC-17: Mulder and Scully mysteriously disappear, and Skinner must face his past to save them. Recovery -- 17K -- R: How Scully got her confidence back. The Price of A Soul -- 255K -- NC-17: Mulder, Scully, and Skinner go to visit the children and their adoptive parents only to find tragedy has struck and the children are missing. A Child's Worth -- 114K -- NC-17: There is another child out there and Skinner is determined to bring him home. Mara: Skinner meets a beautiful woman who changes his life completely. Mara II: Bitter Sweet, Bitter Sorrow: Skinner and Mara begin their new life together, but her abusive ex-husband will not leave her alone. A case file appears on Mulder's desk and he is drawn into a stalled murder investigation; one that puts someone close to him at risk. Skinner is dead -- or is he? Mulder and Scully's investigation into his death brings them up against still unseen enemies who conspire to control them all. Post ep for My Name Is Paul. Faith--115K -- NC-17: A plea for help from an old friend drags Skinner into the heart of a modern day conspiracy. Faith Lives--78K -- NC-17: An old enemy reappears and the new person in Skinner's life is suddenly in danger again. Enchantress -- 7K -- NC-17: Skinner has an encounter with a mysterious woman. Enchantress II: The Lighthouse -- 45K -- NC-17:While taking some mandated leave, Skinner meets another mysterious woman. Enchantress III: The Pool -- 17K -- NC-17: Skinner. Mysterious woman. Woods and water. Enchantress IV: Falling -- 14K -- NC-17: Skinner has yet another experience with a mysterious woman. What led to Skinner's separation from his wife? Why did she file for divorce? A missing scene -- Skinner's thoughts after Sharon leaves his condo. A Haven 155 word challenge. Skinner talks to his wife one last time.